Microsoft is in a bit of a unique place in the PC space compared to other manufacturers. Other than Apple, Microsoft is the only company that controls both the hardware and software sides, and when the Surface lineup launched way back in 2012, Microsoft’s goal was to showcase the advantages of their platform with a premium hardware lineup. 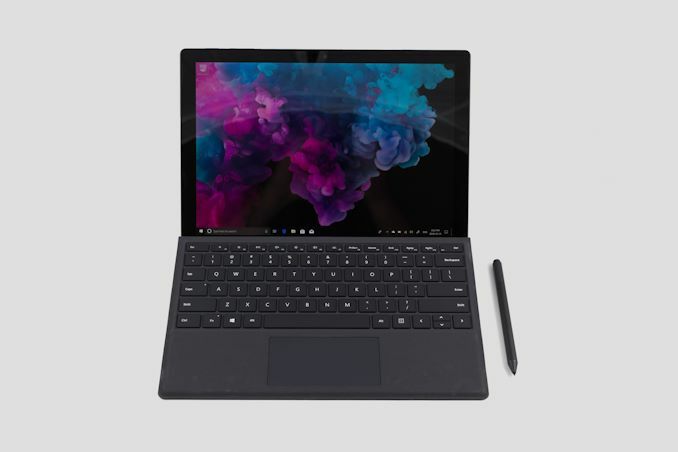 On October 2nd 2018, the company unveiled their sixth iteration of what is now a staple in the PC space, the Surface Pro 6. On the outside, it would be easy to write this refresh off as a spec bump, but there are tangible improvements throughout the Surface Pro which make this a worthwhile successor to the 2017 Surface Pro. The company hasn’t completely reinvented Surface Pro since the Surface Pro 3 launched in 2014, with the move to the new thin and light form factor, showcasing the 3:2 aspect ratio display. Surface Pro 4 stretched the display from 12-inches to 12.3-inches in the same size device, and moved from Haswell to Skylake, and Surface Pro 2017 made some more small tweaks, and with the move to Kaby Lake finally solved the power management issues that plagued the Skylake generation of Surface devices. Arguably the biggest change that people will see with the Surface Pro 6 is that it’s available in a new color: black. Surface hasn’t been offered in black since the days of the Surface Pro 2, and the new color will live alongside the existing platinum color we’ve come to know throughout Microsoft’s PC lineup. But, inside the device are new components which help move the Surface Pro to a new level. 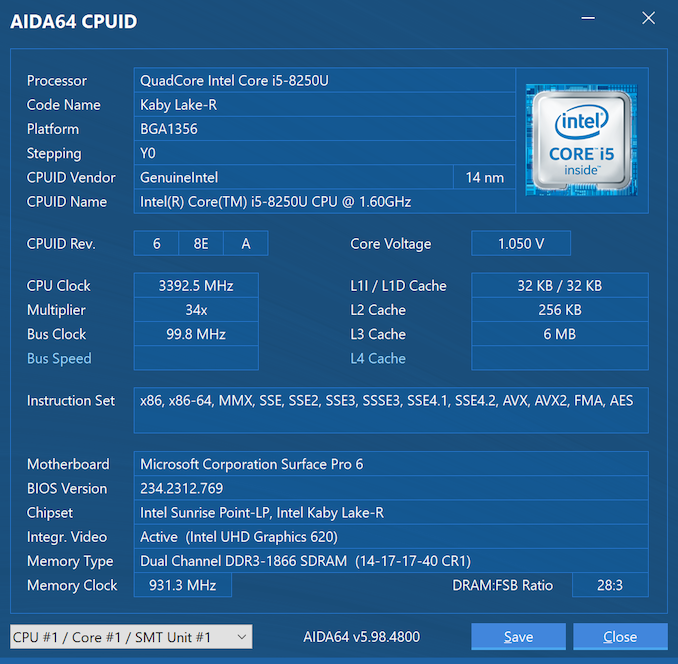 The most noticeable is that Microsoft has moved to the quad-core Kaby Lake Refresh chips, and as we’ve seen throughout the rest of the PC industry, Kaby Lake Refresh brings a significant performance boost. One decision that we’ve seen questioned since the launch event was disappointment in the lack of an Iris GPU option in the Surface Pro with this generation. The 2017 model we reviewed was outfitted with the Intel Iris Plus Graphics 640, which doubles the execution units compared to the standard UHD Graphics 620, as well as adds 64 MB of eDRAM. The Iris option is no more though, but even if Microsoft had wanted to continue offering it, Intel no longer sells any 15-Watt CPUs in their current lineup with the Iris option. You’d have to move up to a 28-Watt model at the moment to be offered access. The rest of the Surface Pro, on a technical specification sheet, is pretty much identical to the outgoing model. The 12.3-inch display is the same 2736 x 1824 resolution, you can get SSD capacities up to 1 TB, and RAM is offered with up to 16 GB as the maximum due to the limitations of LPDDR3 capacities. Also along for the ride is the same Marvell AVASTAR wireless that has been used exclusively in all Surface devices for too long. The one missing feature that everyone would have likely expected to see with this launch was a USB-C port, since Microsoft finally includes it in place of the mini DisplayPort in the Surface Book 2, as well as on the Surface Go, but in a confusing move, the Surface team has kept the mini DisplayPort connector on Surface Pro rather than move to USB-C which could also double as DisplayPort when needed. Microsoft has also cut the prices quite significantly, but the very bottom end model with the Core m3 and lowest price is no more. The good news is that the base configuration drops the 4 GB of RAM though, meaning a 128 GB Core i5 with 8 GB of RAM is now the base at $899. Last year the MSRP of the 128 GB Core i5 was $999 and it only came with 4 GB of RAM. At the very top, the savings are even larger, with the 1 TB Core i7 with 16 GB of RAM a full $400 less than the launch price of last year's Surface Pro.